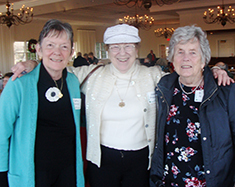 The mission of the 50+ Club is to foster friendships with other people in the parish community in various activities that provide satisfying social, spiritual and cultural experiences for those “over 50” in the greater Mashpee area. 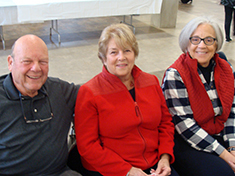 The 50+club welcomes new members. To become a member click “registration form” to print. Fill in and mail to the address included. 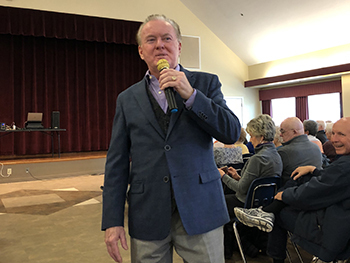 It was a full house at Christ the King Parish Hall in Mashpee recently, as the 50 plus Club presented Impersonator George Lyons in Concert. 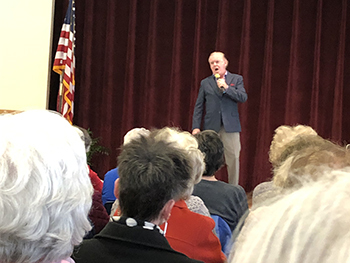 His renditions of favorite songs by top singing artists from the sixties to the eighties such as Dean Martin, Frank Sinatra and Neil Diamond, were well received by all in attendance. Favorite renditions included “Forever in Blue Jeans”, “Sweet Caroline” and “That’s Amore”. 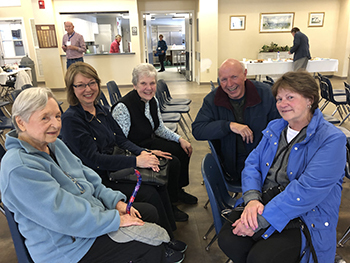 Following the presentation, door prizes were awarded and refreshments served. 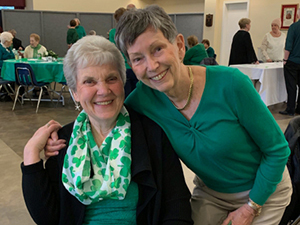 The 50+ Club, the Catholic Women’s Club and the Knights of Columbus co-sponsored the annual dinner to celebrate St. Patrick’s Day. 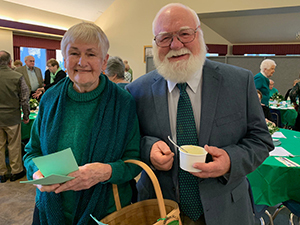 A complete Corned beef dinner was served by Chef Roland’s Catering with turkey as an option for those who preferred. 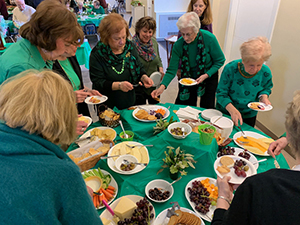 Entertainment was by the Irish Folk Band “Below the Gaff” whose members played lively tunes. 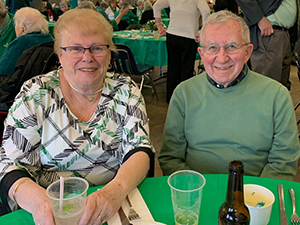 To view all the photos from the evening go to St. Patrick’s Day. 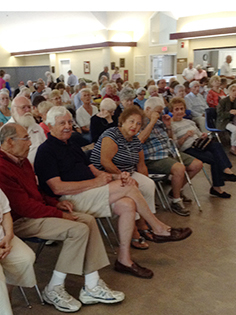 A full bus of 50+ Club members headed to Boston to visit the John F Kennedy Presidential Library and Museum. 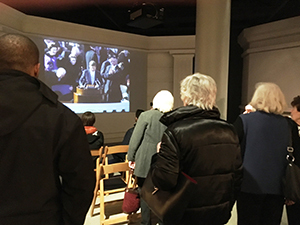 Members appreciated the high definition, large-screen projections, interactive displays, re-mastered films and original artifacts from the life and times of JFK that brought to life President Kennedy’s 1000 days in office. 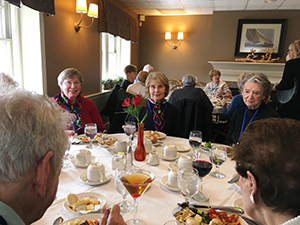 Following the museum tour, the group enjoyed a buffet luncheon at the Common Market Restaurant. 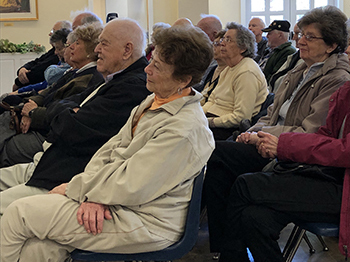 The Winter Blues were chased away quickly when the 50 Plus Club presented the Dave Burbank Orchestra recently to over 140 attendees at Christ the King Parish Hall. 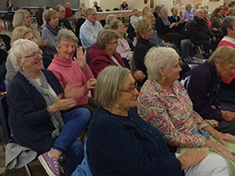 The many songs played were familiar to the audience and some members enjoyed dancing. 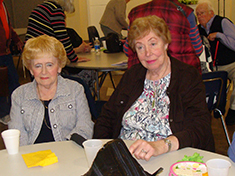 Following the concert, refreshments were served with door prizes awarded. 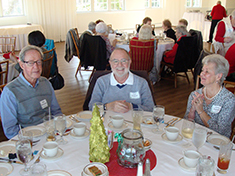 Members and guests of Christ the King Parish 50+ Club enjoyed a holiday luncheon at the Coonamessett Inn in Falmouth. The inn was decorated for the holiday and all present got into the spirit of the season. 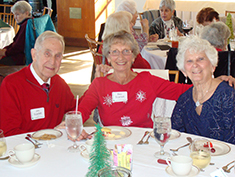 Guests enjoyed a delicious meal and were entertained by the “Daddy-O” band that played a mixture of Christmas music and favorite “Oldies”. 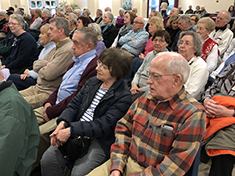 It was a capacity crowd recently that filled Christ the King Parish Hall in Mashpee for Bart Weisman Smooth Jazz Group concert sponsored by the 50+ Club. 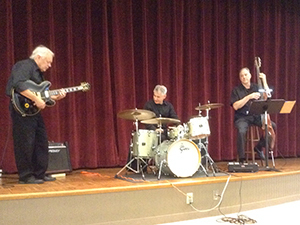 The trio featured Bart Weisman on drums, Steve Hambleton on guitar and Rich Hill on bass. 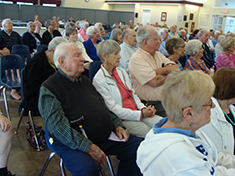 The group performed a Smooth Blend of Jazz, Latin and Pop and each tune were introduced with explanation and history of the song. 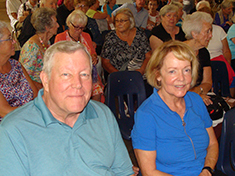 Following the presentation door prizes were awarded and members and guests lingered to enjoy the coffee and desserts. 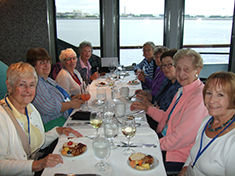 The 50+ Club of Christ the King Parish recently enjoyed a 3 day trip to Niagara Falls and the Erie Canal. 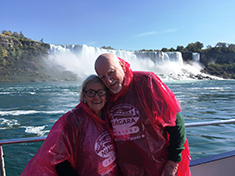 Members enjoyed a boat ride that brought them very close to the falls where they could appreciate the grandeur of this attraction. Dinner at the Skylon Revolving Restaurant gave everyone an opportunity to observe the falls from above. 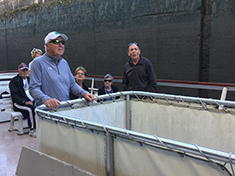 The group also had a narrated cruise on the Erie Canal and learned how the lock system is used to transport merchandise and passengers. 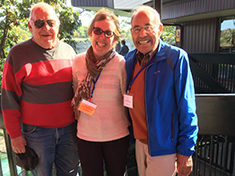 The weather was perfect with warm temperatures and sunny skies that highlighted the fall foliage; a trip to remember! 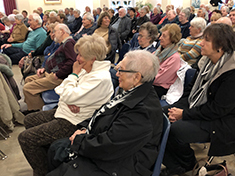 It was a capacity crowd recently that filled Christ the King Parish Hall in Mashpee for the local entertainer, pianist, and vocalist John Salerno. 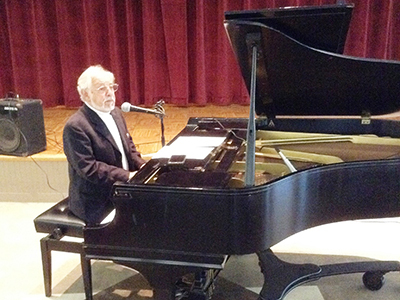 Members were entertained with John’s piano performance, his wonderful voice and his anecdotal commentary. 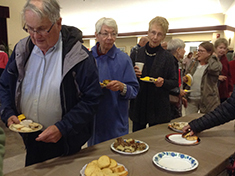 Following the presentation door prizes were awarded and members and guests lingered to enjoy the coffee and desserts. 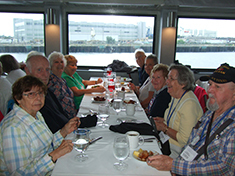 Boston was the destination for the members of Christ the King Parish 50 Plus Club when they embarked on a luncheon cruise in Boston Harbor. 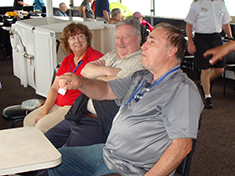 The “Spirit of Boston” provided a delicious buffet with choices to please all passengers. 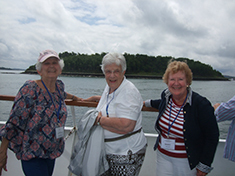 As the ship sailed, the narrator recounted detailed information of the Boston skyline and the historical landmarks seen. 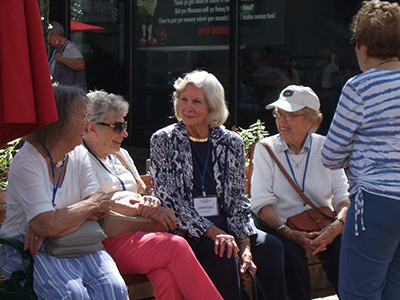 Before heading home, a visit to the North End provided participants with a chance to shop or enjoy a refreshing drink. 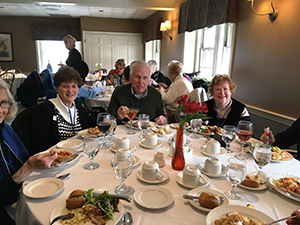 The 50+ Club of Christ the King Parish recently enjoyed a 3 day trip to New York’s Finger Lakes region and 47 members enjoyed the lakes, waterfalls, farms, and vineyards. 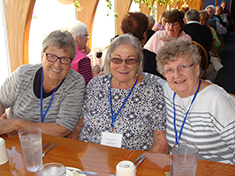 On a boat cruise on Seneca Lake, everyone appreciated the views of cliffs and the third highest waterfall in New York. 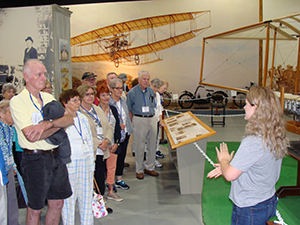 Two museums visited were the Corning Museum of Glass and the Glen Curtis Aviation Museum. No trip to the area would be complete without wine tasting and Fox Run Vineyard was just the place. A stop at a Mennonite Farm stand gave all a chance to talk with the family and purchase fresh vegetables and pastry. 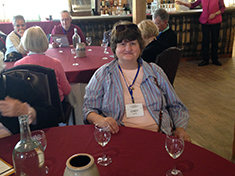 The final stop was luncheon and a cooking demonstration at the New York Wine & Culinary Center. 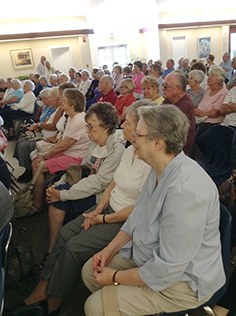 Over 150 members of the 50+ Club and guests gathered at Christ the King Parish Hall for a concert by the “Cape Cod Surftones”. 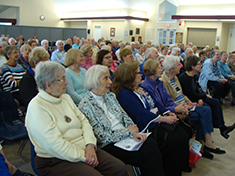 This very popular men’s group delighted the audience with their repertoire, singing the songs America loves in good close harmony. 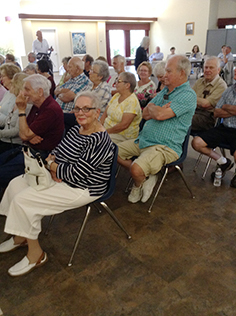 Following the concert, “Surftone” members mingled with the audience to enjoy the refreshments and conversation. 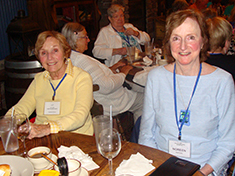 A “Chocolate and Wine Tour” in New Hampshire was the destination for the members of Christ the King 50 Plus Club. 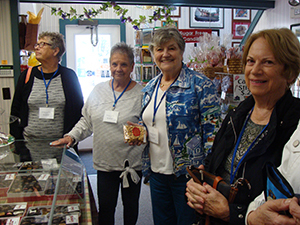 Chocolate was first on the itinerary with a visit to Sanborn Fine Candies in Hampton and many took the opportunity to purchase gifts for loved ones. 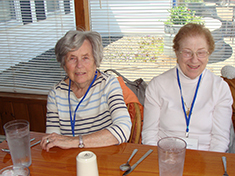 The luncheon stop was just over the border in Kittery, Maine and Warren’s Lobster House Restaurant. 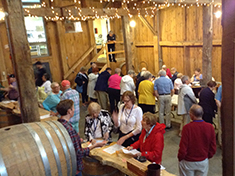 Flagg Hill Winery and Distillery in Lee N.H. was the final stop and participants had the opportunity to taste (and purchase) different wines and spirits that are produced on site. 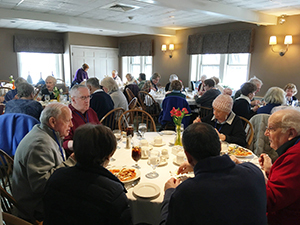 The warm, sunny weather was ideal for a 50 Plus Club spring outing.